ResLogic’s next generation responsive booking engine is the most modern quoting and booking interface in the industry today. Your online customers and travel agents can easily quote and book complex dynamic travel itineraries with the help of our powerful integrated content engine. 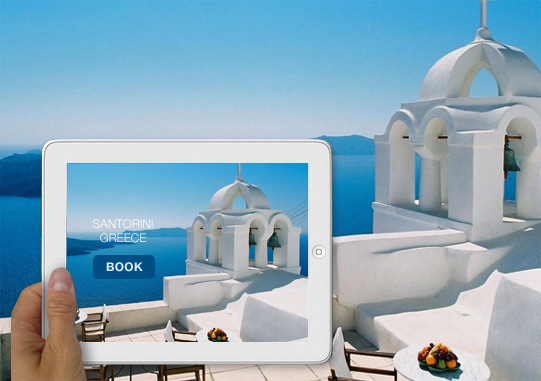 Automatically create a dynamic content rich customized travel itinerary/brochure for your customer to view online and via email. Assign and route the quote or booking in real time to one of your agents to follow up based on their destination specialty and sales channel. With the built-in emarketing features, the system will automatically save the original online source to the reservation database so you can accurately calculate return on investment for your marketing program. 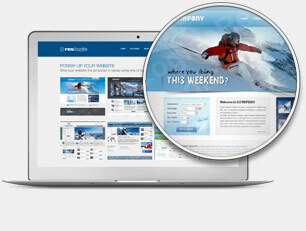 Control most of your website(s) content without the need for an expensive web designer. Load your own supplier content including data and images and manage general content such as destinations, specials/hot deals, user defined pages (i.e home, about us, etc... ). Our digital image utility publishes images that automatically convert to thumbnail and pre-defined image resolutions. The system includes many features that allow you to easily optimize your websites for the search engine rankings. 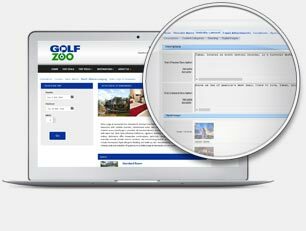 There is also a built-in Group Site Manager Utility that allows you to create customized standalone websites for your group customers to sell specific group tours and packages. Create sophisticated third party (affiliate) and internal distribution programs. Website content and business rules can be filtered by private label so you can create and build multiple branded websites catering to your specific target markets. Set different default sell price currencies to effectively market internationally. All reports in the system are broken down by sales channel so you will know exactly where your business is coming from. Your inside and outside reservation agents now have a cutting edge interface to manage all reservations whether created in the call center or online by your customers. Training time for new agents is reduced to a minimum as the interface to create reservations in the call center is just as easy as it is to make reservations by your customers online... except your call center agents are more empowered to make changes like pricing overrides, detailed pricing and itineraries by person, reservation price adjustments by multiple methods, sell price currency adjustments, loyalty discounts, etc. 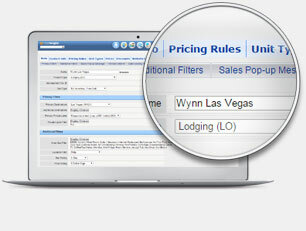 Display or hide reservation profitability to empower your agent to negotiate price when necessary. When a customer creates a quote online, you can require certain customer information to save or email a quote based on an easy to use rules engine that differentiates by private label/sales channel. The system will automatically capture and save the online marketing source (i.e. search engine, pay per click, free listing, ad campaign, etc.) to the customer profile when a quote is first created allowing you to track accurate return on investment (ROI). 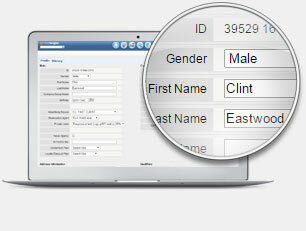 Data captured in the customer profile and reservation history can be utilized later for targeting marketing campaigns. Load all of your internally negotiated product contracts including pricing, content, and inventory with our powerful and flexible interface. Any type of products/services is supported -you can even design your own products and services. Our sophisticated business rules engine handles the most complicated pricing scenarios, while our Supplier Discount Utility handles many complex discount scenarios. Inventory can handle on-request, free-sell, or internal blocks and the integrated Vendor Extranet gives your suppliers web access to load and manage their own content and inventory. The WebResManager platform includes a robust back-end system that will manage your company's receivables and payables by reservation and specific travel components in multiple currencies. Customer deposit policy rules are created by sales channel and by supplier requirement and supplier payable rules are created in the supplier profiles. 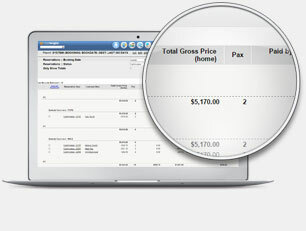 Built-in reporting lets you easily stay on top of your receivables and payables. We handle real-time credit card processing via third party payment gateways. 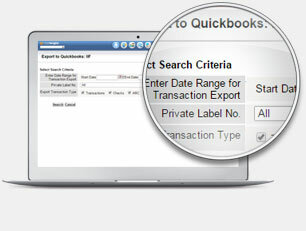 The system also supports integration with QuickBooks (3rd party accounting software). ResLogic’s robust XML interface provides easy real-time access to 3rd party GDS systems for flight and hotel inventory that seamlessly integrate with our Online Booking Engine. Flight integration includes the ability to compare published IATA fares with your own negotiated bulk fares using your pre-defined mark-up rules. 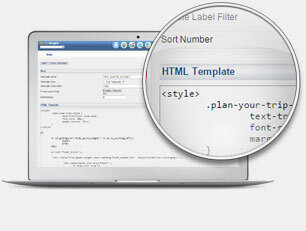 ResLogic is adding new 3rd party XML system integrations on a regular basis. Although ResLogic is an off-the-shelf solution and priced as such, we provide a tremendous amount of built-in system template logic. This allows our customers to easily customize virtually all aspects of their ResLogic website and customer communication integration. One customer can make their ResLogic system look and feel completely different from the next. A database system is only as good as it's ability to create quality on the fly reports. 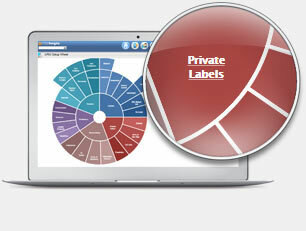 Access the many built-in reports and view them online or export to MS Excel or PDF files. Create and save your own custom reports in the system using our powerful web reporting interface, defining your own columns, sub-groupings and report filters. Reports include all areas of the system: sales, customers, marketing, reservations, suppliers, financial, operations, travel documents & vouchers, etc... 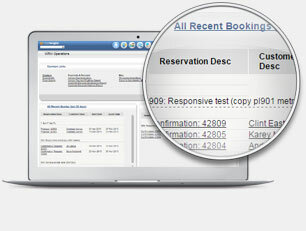 Utilize these reports to populate custom dashboards for your reservations and operations staff. 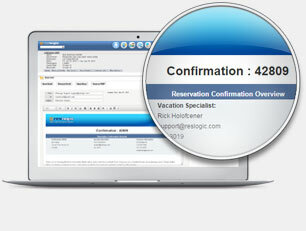 Our goal is to provide our customers with a one-stop complete reservation solution. We offer a range of services from template to custom design engaging cutting edge websites and private label websites that seamlessly integrate with the WebResManager Platform. "Cookie cutter" isn't in our vocabulary - we understand that every company wants their own look and feel. 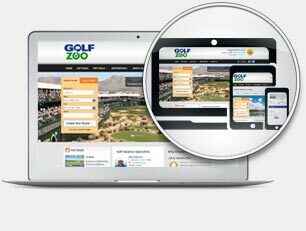 Many of our customers utilize our affordable website design services.